As already known that the name of the Chevrolet Corvette always known as an American muscular car, with a body design that is not less muscular and always be dreamed in its homeland. However, the charm of the V8 engine's Chevrolet Corvette mainstay just seems not enough to attract consumers in Europe, where the typical European car has a more beautiful design. Then in 1963, one Chevrolet Corvette C2 had to undergo a makeover to be more pleasing to the eyes of Europeans. 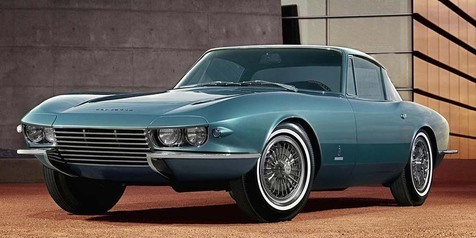 The result, Chevrolet in cooperation with Pininfarina, a famous Italian automotive coachbuilder that used to design a Ferrari, which later gave birth to the figure of Pininfarina Rondine Coupe. 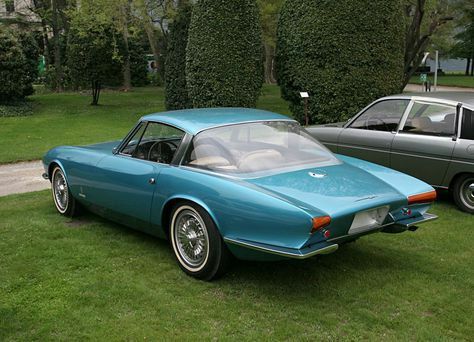 Unlike the Corvette C2 which has a body made of fiberglass, Pininfarina Rondinne has a metal made exterior, which makes its weight so increase, and control is also changed completely. The car's front overhangs are more longer, and the Corvette's typical pop-up lights are eliminated, and on the back there is nothing resembling to the original car, and it is more like a Fiat 124.